Communal Living: Religion, Class, and the Politics of Dwelling in Small-town Gujarat. Contributions to Indian Sociology, 52 (1), 53-78. 2018. Mobility and the Region: Pathways of Travel within and beyond Central Gujarat. Journal of South Asian Development, 12(2), 112-135. 2017. A Global Town in Central Gujarat, India: Rural-Urban Connections and International Migration. South Asia: Journal of South Asian Studies, 38(2), 230-245. 2015. Reflections on Migration through Film: Screening of an Anthropological Documentary on Indian Youth in London. Visual Anthropology, 28(5), 398-421. 2015. Middling Migration: Contradictory Mobility Experiences of Indian Youth in London. Journal of Ethnic and Migration Studies, 40(8), 1217-1235. 2014. 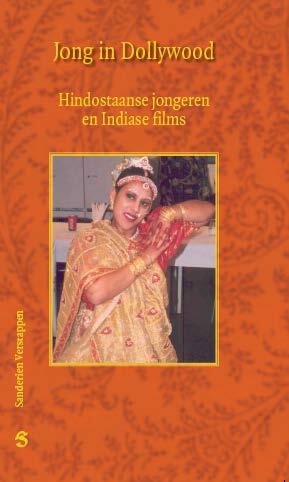 Jong in Dollywood: Hindostaanse Jongeren en Indiase Films. Amsterdam: Het Spinhuis. 2005. Frustrations and Alliances: The Politics of Migrant Funding for Muslim Education in Central Gujarat. In Carol Upadhya and Leah Koskimaki (eds. ), Provincial Globalization in India: Transregional Mobilities and Development Politics. London: Routledge, 2018. Starting Migration: Emerging Migration Patterns among the Muslim Middle Class of Charotar. In Amrapali Merchant (ed. ), Impact of Diaspora. Vallabh Vidyanagar: NRG Foundation and Sardar Patel University, 2012.
Review of 'Methodologies of mobility: ethnography and experiment', A. Elliot, R. Norum and N. B. Salazar (eds. ), 2018.
Review of 'Capital, interrupted: agrarian development and the politics of work in India', V. Gidwani, 2008.